We always imagined that, when looking back at the lives we’ve led on some day in the distant future, we would be able to pinpoint the moment when we finally lost it—”it” being our faith in humanity, ourselves and all the things we hold dear. This is not that moment. It’s just a rapper whose music we once liked and his soon-to-be-wife appearing on the cover of the world’s most important fashion magazine. 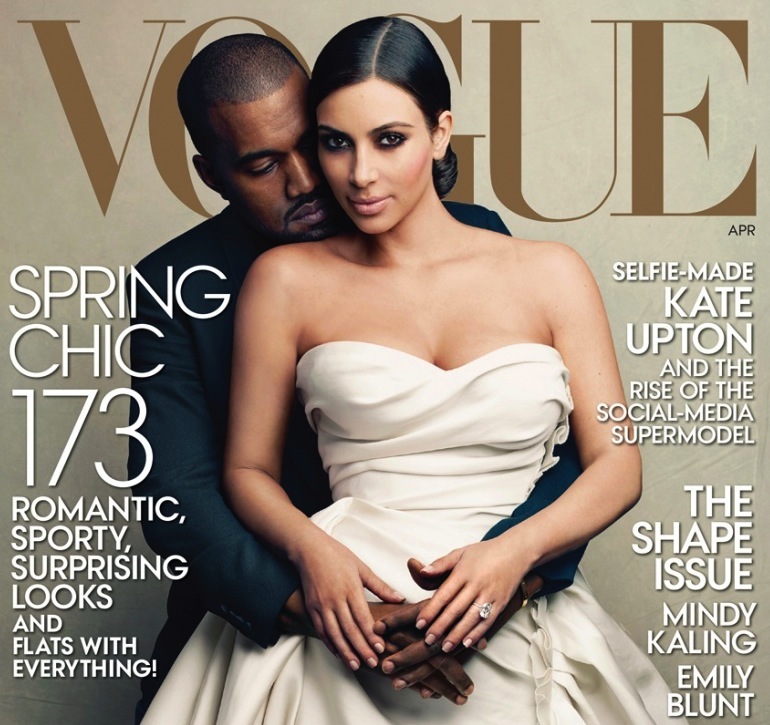 Kayne’s endless Anna Wintour lobbying campaign apparently paid off as he and the future Mrs. West will star in the April issue of Vogue. For all you trivia buffs out there, he’s only the fifth man to appear on the cover following Richard Gere, George Clooney, LeBron James and, yes, Ryan Lochte. Esteemed company. We would proceed to scroll through all the Vogue/True Detective mashups currently clogging our Twitter feed and wonder whether this announcement marks a decline in the mag’s influence or a turning point in the history of fashion and/or journalism. But we’d rather focus on how the couple scored this placement. Kanye went against everything we thought we knew about him and relented to Wintour’s demands that he not share the cover spotlight with his own daughter, who will only appear inside the magazine.